Not all of us have the luxury of an extra large kitchen, and when it comes to big events such as Christmas dinners, it can sometimes feel stressful in a small kitchen when you feel like you’ve got absolutely no space! Don’t fear, when it comes to kitchen storage, we just need to think of smart ways to enhance and maximise the space we have. We’ve put together some great tips on how you can make the most of your space in a smaller kitchen. Corner storage solutions and pull out drawers are just some of the smart options you can include in your kitchen to make it more efficient. 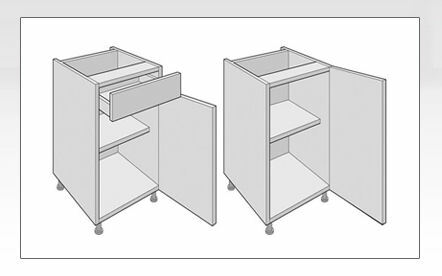 By using internal mechanisms to transform your cabinets into drawers, you can obtain maximum usability of the available area. 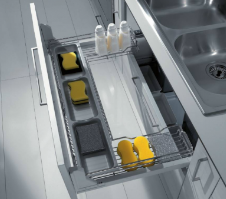 Drawers allow you to gain easy access to all the items you require (especially during busy dinners), providing a more organised storage area and enhancing your available cupboard space; so you can avoid lots of searching and rummaging which can result in a manic and cluttered cooking environment. Another smart way to make the most of your kitchen storage is through the use of racks and shelving. 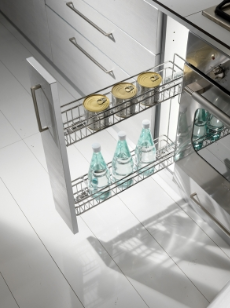 Metal racks can hang inside your cupboard doors and offer additional storage opportunities. Try stackable shelves, undershelf baskets, or attach hooks that you can use to hang cups and cooking utensils from. You could even use tension rods to hold chopping boards upright to save vital space on shelves. Don’t forget about the space above your cabinets as it can be useful for stashing some extra items. Remember, it’s better to be stacked high than be left looking cluttered below. Don’t assume that big is always the better option when it comes to choosing kitchen appliances. Unfortunately, bigger appliances will drain your small kitchen of space, so when possible, you should find smart, space-saving styles that won’t require you to sacrifice precious storage within your kitchen. 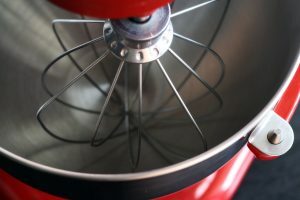 Multi-purpose appliances are a great way to save space such as a stand mixer that can also convert to a food processor and blender or a mini oven with built in hob. Integrating your appliances can also help to save space in your small kitchen. For example, integrating your microwave into the wall so it’s not sitting on a worktop means that space could be used for something else. Integrating appliances into cupboards where possible can provide a cleaner visual design, whilst making other areas of your kitchen available. 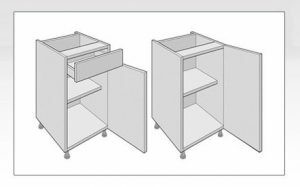 That space where your fridge used to be could now be transformed with free standing storage units such as ClicBox units. 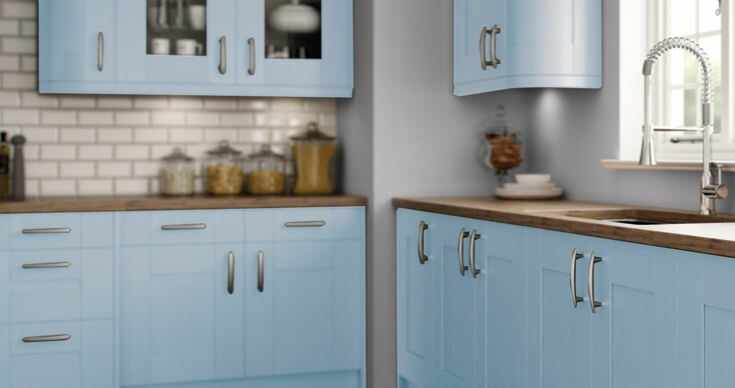 If you’re interested in smart kitchen storage options to prepare yourself for the wonderful madness that Christmas brings, then why not check out our range of options today?